It’s time for another trip to the world of travel backpacks! 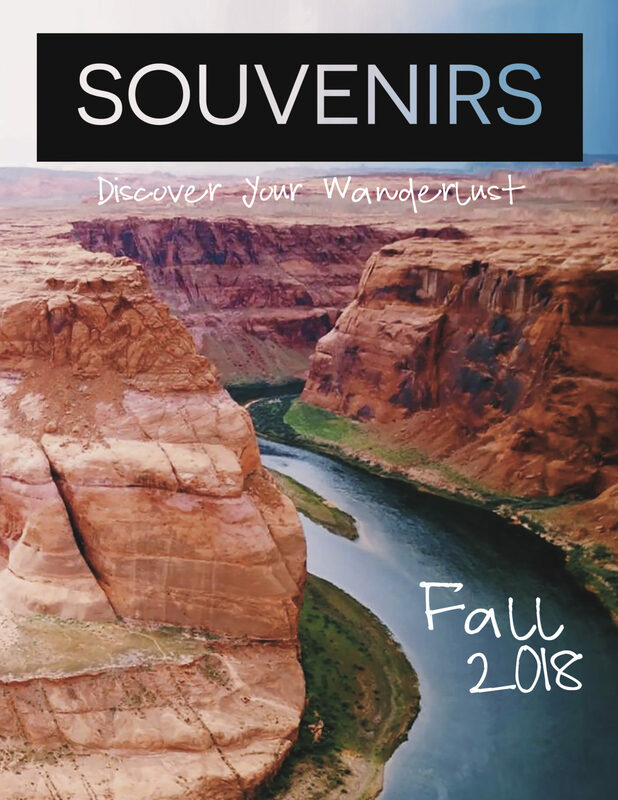 Previously, Souvenirs has published a guide for choosing the right travel backpack, as well as what to pack in it, but now I’m going to get a bit more specific. This past March, I took a trip to Scotland with just my trusty 40L backpack. I went hostel-hopping beginning in Edinburgh, through the Highlands to the Isle of Skye, stopped by Stirling, and made it all the way back to Edinburgh. From my backpack choice to my packing list and organization methods, my preparations were pretty exhaustive. Many little items on this packing list are discussed in further detail in my 5 products to up your travel game article. Without further ado, here’s a look at the anatomy of my backpack. My backpack is a top loader with access to the bottom through a front zipper. The top “brain pouch” is also stuffable for easy-access items. I found this is what works best for me, my packing goals (carry-on only, comfortable and easy to fit in plane overhead compartment) and my body type. So, to find your perfect backpack, it’s definitely a good idea to check out the previously mentioned Souvenirs articles on backpacking, and then get fitted at your local outdoor gear store. Even if you buy your pack elsewhere, most places will help show you how to fit all the straps properly to ensure a heavy pack doesn’t hurt you. I headed to the very north of the U.K. in early springtime, so I prepared for chilly, wet weather. Since I have limited space, everything I chose in my wardrobe is meant to be versatile. 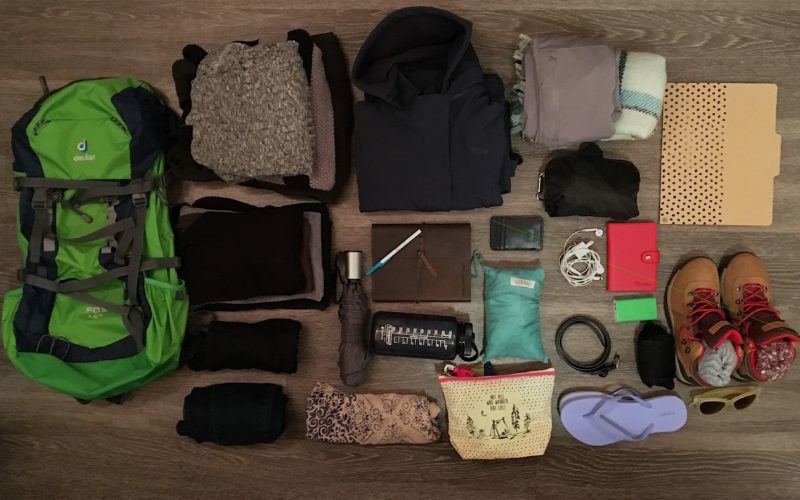 If you’ve never heard of packing cubes, then it’s time to learn. They’re a complete lifesaver for organization and make it so simple to find what I’m looking for without dumping everything out and digging around. I have my flight information and itinerary listed out in the front of my travel journal and filled the rest of it with day-by-day entries. I like to save boarding passes, receipts, ticket stubs, etc., so my journal also wraps shut to hold it all inside. This is a great way to remember everything about my trip. My sleep sack, also known as a Silk Sak, is my safe, clean, cozy nest. It’s like a gigantic sleeping bag, but just made of a thin layer of silk. Let’s be real- this is Scotland in springtime: cold and rainy. It folds up into itself, so it’s compact, but it’s perfect if I want a small daypack!